August 24, 79 AD Mount Vesuvius erupted,releasing a hundred thousand times the thermal energy released by the Hiroshima bombing. An estimated 16,000 people died that day. Vesuvius is still the only active volcano in Europe. Non-fiction picture books are an excellent way for young readers stretch their reading capabilities. And, they love it! Just watch any primary school aged student pore over factual information with engaging photos or illustrations. 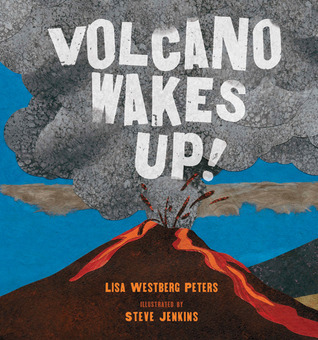 If you know of someone like this, today is the day to share any of the many books about volcanoes from your local library. Here are a just a few of the ones I found. 48 page illustrated non-fiction written for older picture book readers has historical and scientific facts about the explosion of Mt. 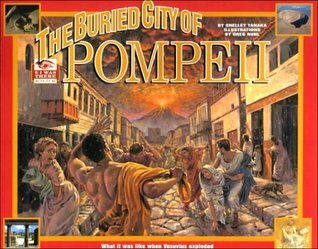 Vesuvius in Italy and the city of Pompeii, near Naples, buried in the aftermath. Almost 2000 years ago an earthquake in the Mediterranean Sea produced enough pressure on the earth to cause Mt. Vesuvius to erupt, completely burying the surrounding countryside. This book includes diagrams, photographs of artifacts and modern sites, information sidebars, maps, illustrations depicting daily life, period artwork, and a glossary of definitions. 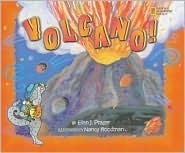 Other books about volcanos in general are also good sources of information for older readers. Two excellent books are Volcano! a National Geographic Society book written by Ellen J. Prager and illustrated by Nancy Woodman (2001 ) and Vocano Wakes Up! written by Lisa Westberg Peters and illustrated by Steve Jenkins (2010).